The battle of Westerplatte took place in September of 1939 between Polish and German forces. It was not only the start of the invasion of Poland but also the first battle of the second World War. Westerplatte is close to Gdansk and served until 1939 as Polish Military Transit Depot. This barrack you see here was heavily hit by German Luftwaffe. The battle lasted only for one week, around 180 Polish soldiers had no chance to win over 3.500 German soldiers and surrendered. 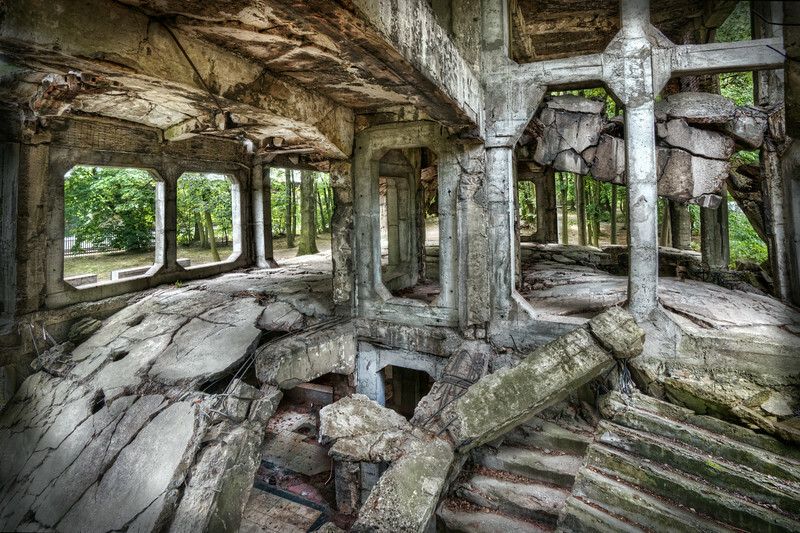 The ruins are still at Westerplatte, and a monument was unveiled in 1966.